In Arkansas, we mark the passing of our seasons with food. The true sign of real spring here is marked with the red almost heart-shaped berries that bring with them the sweet-tart mark of vernal promise - the strawberry. 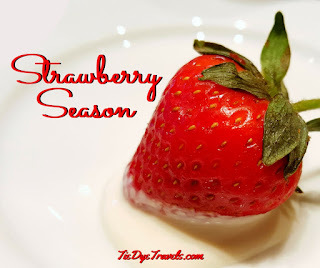 I have not been remiss in sharing strawberries and their stories before. Nay, the celebration of red juice on lips as nature's own cosmetics shows our mutual enjoyment of these morsels, plucked from low plants and placed in buckets and pint boxes and trays, a gift of the earth where no further preparation is needed. In fact, strawberries usually bring another sign of true spring to us - the tradition of the farmer's truck, a pick-up alongside the road not far from a hand-lettered sign, where one can find juicy tidbits of gossip if you're local, or important mesures to note in your travels for those who are not. How do we celebrate the strawberry? Let me count the ways. We plant them. It's a little late for this year, but the University of Arkansas Cooperative Extention Service has great advice on how to go about picking the right strawberry bush, planting it and nurturing it for healthy, beautiful berries. We pick them. 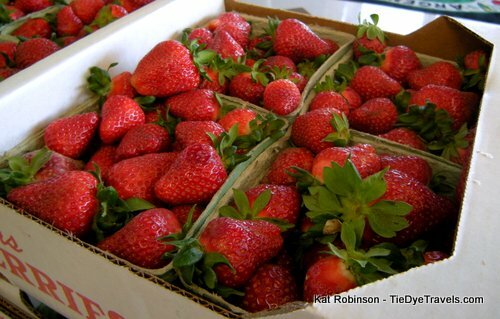 All across Arkansas, you'll find farms that grow strawberries. If you don't have a plot of your own, you can pick your own at these locations. We pick them up. 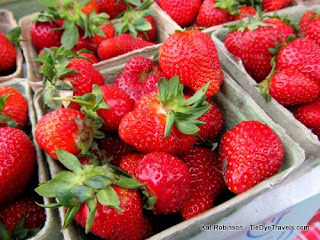 Arkansas has a great number of berry farms that sell their own produce already picked. I usually end up grabbing a bucketful at Holland Bottoms in Cabot, but there are many others. We process them. Jams, jellies, pies and shortcake, preserving and serving these fruits comes topmost. Here's a recipe for making your own jam. We celebrate them. 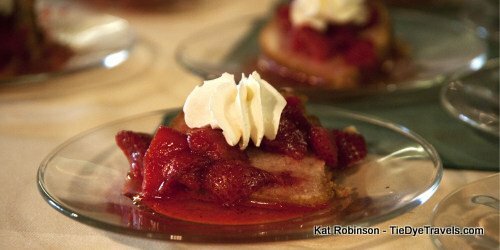 Each year, Cabot has a famed strawberry festival - this year set for the April 28th and 29th. 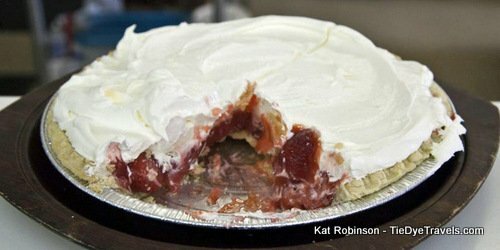 Up the road, you can find the Bald Knob Strawberry Homefest the weekend of May 11-13. We savor them. 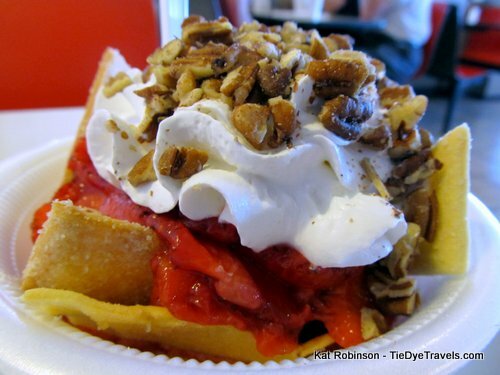 Here are some of the many Arkansas strawberry celebrations at restaurants. 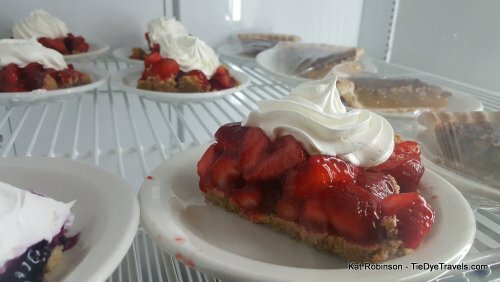 Slices of fresh strawberry pie at The Dinner Bucket in New Blaine. Strawberry butter pie at South on Main in Little Rock. Strawberry Shortcake at Trio's in Little Rock. 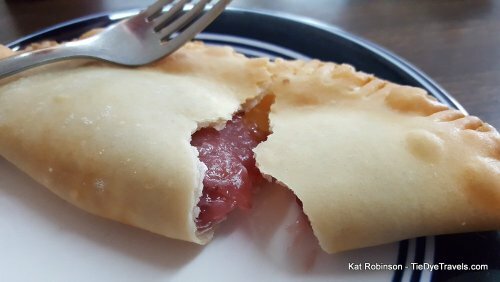 Strawberry fried pie at the Delta Grill in Elaine. 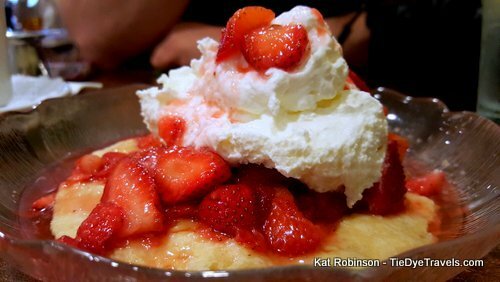 Strawberry shortcake at the Skillet Restaurant at the Ozark Folk Center in Mountain View. 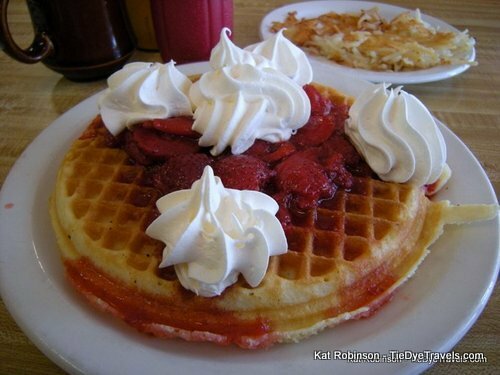 Strawberry waffle at Mom and Pop's Waffles in Morrilton. 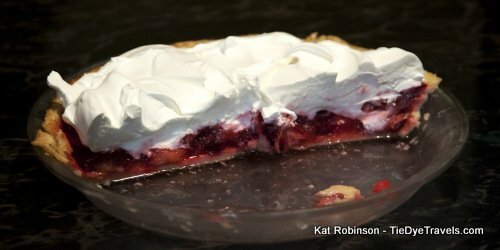 Strawberry cream pie at Pickens Commissary near Dumas. 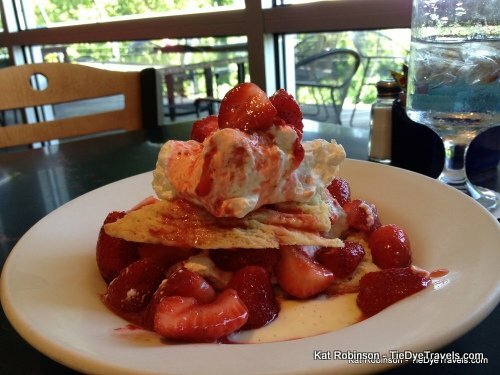 Strawberry shortcake at Brave New Restaurant in Little Rock. Strawberry shortcake at Bulldog Restaurant in Bald Knob. Strawberry pie at Dry Creek Mercantile in Pindall. 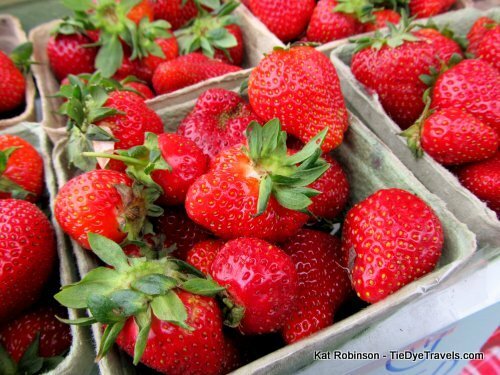 What's your favorite use of fresh Arkansas strawberries? Comment below!